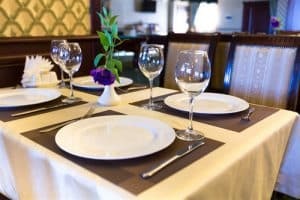 We have made a selection of budget restaurants and other places to eat from various national kitchens with an average of at least 4 stars received via Google reviews, offering quality original and traditional dishes at affordable prices to stretch your budget even further. All of these restaurants are located within walking distance of your hostel. Breakfast, Lunch & Diner: Croissants, Omelets, Pasta, Salades and a limited menu with original main dishes. Diner & open for lunch at thursdays till sundays: Daily fresh changing delicious dishes, chicken satay, steak, spare ribs, cheese fondue, fresh salads and vegetarian or diet-specific meals. Diner & open for lunch at wednesdays till sundays: A limited menu of tasty & known well-received dishes. Lunch or diner: limited menu with a well-known reputation for incredible steaks. Diner: An original meat-, fish & vegetarian menu with an east-mediterranean focus. Diner: Typical Catalan restaurant with something tasty for everyone! Diner: Typical Italian restaurant with a varied menu. Diner: Refined and creative dishes, monthly changing focus on a different country. Diner: Try the Traditional ‘Rijsttafel’ at one of the oldest Indonesian Restaurants of the Netherlands. Diner: Finest quality steaks, succulent chops and mouthwatering seafood. Lunch & Diner: Modern & traditional dishes with the best quality steaks, grilled with craftsmanship.